Hiro (Kyoto, Japan) on 30 June 2016 in Animal & Insect. Beautiful ripples...it's raining here too!! i see those fish !!!!!!!!!!!!!!!!!!!!!!!!!!!!!!!!!!!!!!!!!!!!!!! J'aime ta composition avec ces gouttes d'eau!!! 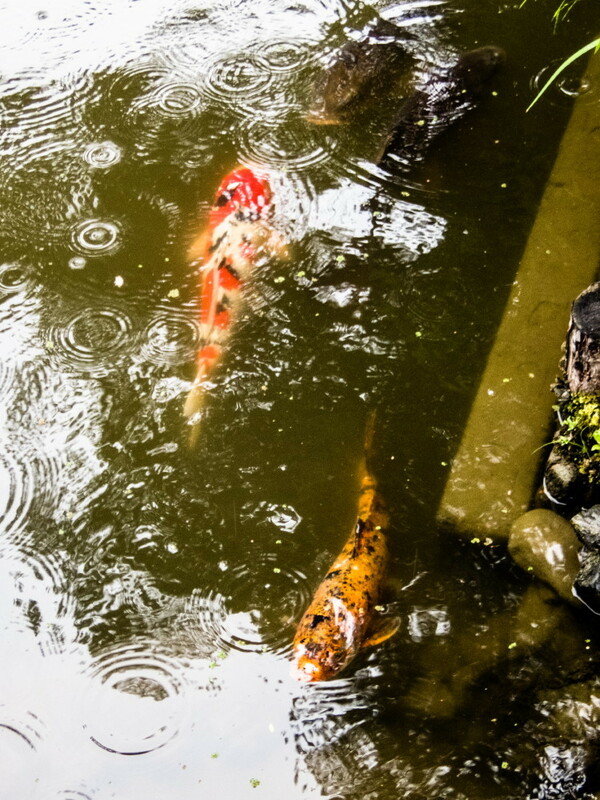 The koi are still hungry rain or shine. Nice shot in the rain. Quels poissons et vue quel rendu de tons rouge superbe. Rain is a great gift for everyone and especially for photographers ...! Great shot! Best regards! with beautiful composition, colors & lights! Beautiful ripples on the water over the happy fish! Lovely photo! A grea gift from the sky! Sometimes a rainy day is the best day for photography.